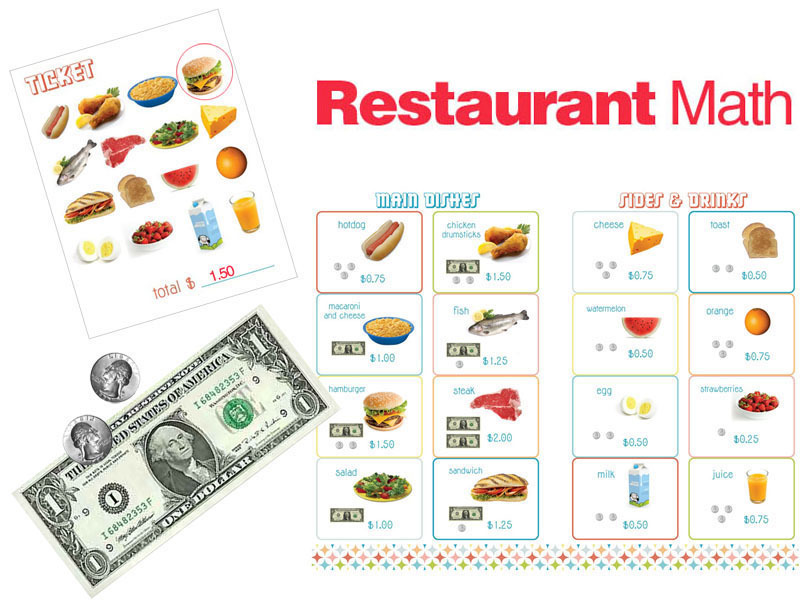 Delightful Distractions has this awesome restaurant menu and ticket freebie that's perfect for a money unit! Divide kids into groups of three. Then, have them choose what they want off the menu and circle the items on their ticket. After they have chosen their cuisine, have them add up the amount on their ticket. Kids can take turns being the waiter / waitress. You could even incorporate "play food" with this activity. To make it more of a challenge, give students a budget. Pass out play money, then have kids figure out what they can order with the amount of money they have. Visit Delightful Distractions to get a copy of the menu and ticket featured below!